I don't like it the color of it is in my opinion isn't acurate. 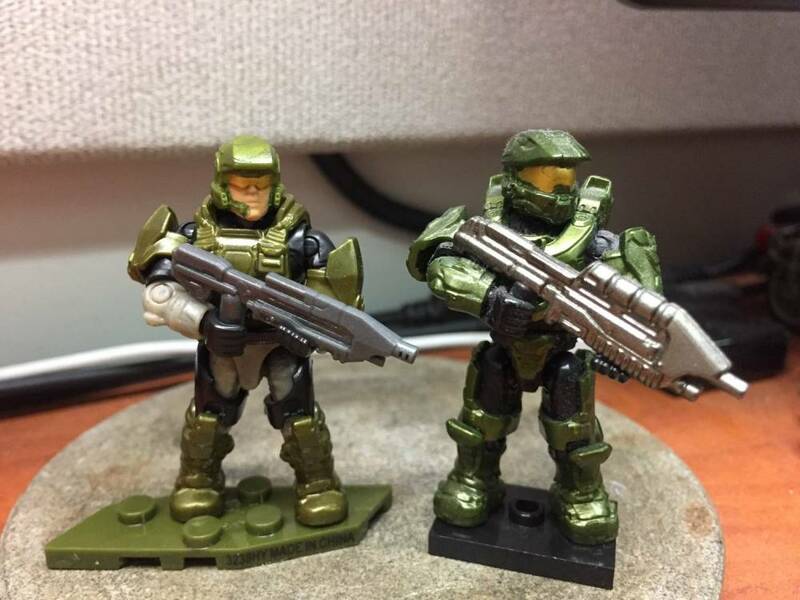 It is a metallic green which im not a fan of it isn't game accurate, I can live with it being on the EOD and Jorge but this isn't that great looking I think they should have gone for a non metallic green in the same color. My opinion will still buy just giving feedback. I think it looks fantastic. But that is my opinion. Haven’t seen it irl so I don’t have an opinion. It looks similar to Johnson’s under the wash to me. Close enough. I think he's beautiful! I like the color, at the same time I see where your coming from and agree. It should be more of a matt green. 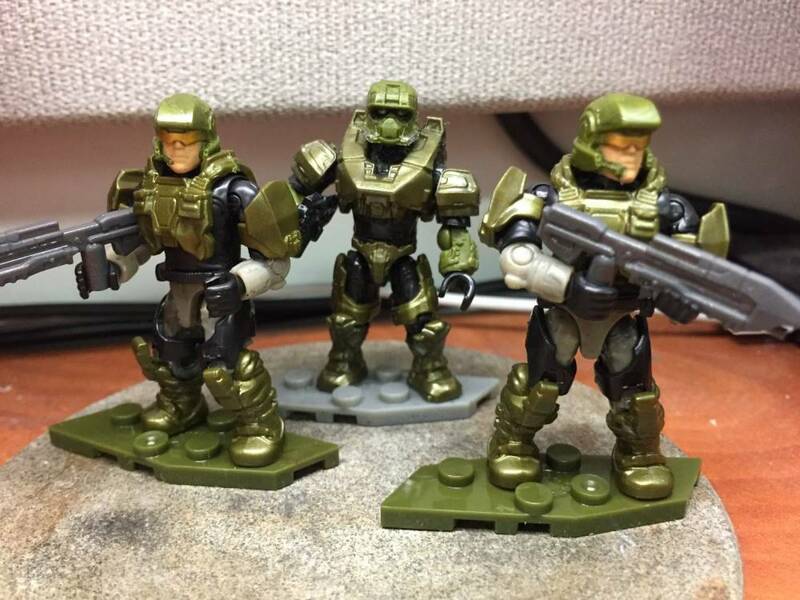 im not sure why they decided to go with this color scheme on the figs but it is keeping in line with there most recent UNSC sets that are also using the very metallic green. I think it will be a nice mix up but shouldn't become there norm. Once they do this for this line id like to see them go back to the base Dark Green for realisms sake. Or they could do an arctic or dessert theme line release. I actually really like the metallic green in general. It looks great on hornet they made and as someone said in their review of the set, they like how the metallic in the green gives it a militaristic sci-fi feel, and I agree with that. It feels less awkward than the speckled green or the dark marble green which I was not much of a fan of. 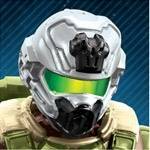 Although I don't disagree with you completely, there is not even a hint of metallic in the Halo 3 marine armor, they should have gone for the same green they used except without the metallic hint, but it is probably a better choice than having a speckled or marbled green. Eh I like the marbled dark green more my self. Sci-fi dosent mean everything needs to be metallic. 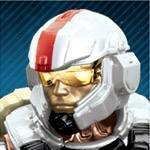 The UNSC in the series uses alot of common military designs and concepts. There colors are grounded and realistic in both a Sci-fi and non Sci-fi sort of way. 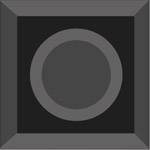 Wile i dont oppose the metalic color outright I do oppose it being used as the standard color for the UNSC. Onto which the review (im assuming Jang) I honestly dont like the hornet at all. 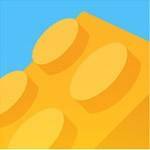 I don't like the build, the look, its color or its size. I think its exseptable for a 20$ set but I'm not interested in buying it myself. The only thing I like from it is the pilot figure so when I can I might outsource the fig. I just don't find the color thag fitting there, On the other hand the heavy duty Cyclops thing (the one with the new flood forms) looks great in the metallic green color and fits really well with the design of the vehicle. Overall my opinion is I don't mind it but I don't want to see it stay for long. I like these sharp irridecents on the covenant vehicle's. Not the UNSC ones. At least with the figure pack though I know what there going for. They want to keep the colors from this line (spring relases this year) the same between them so the marines are the metalic green like the spartans and vehicles, and for one wave or two I think it will be a nice mix up of the norm. 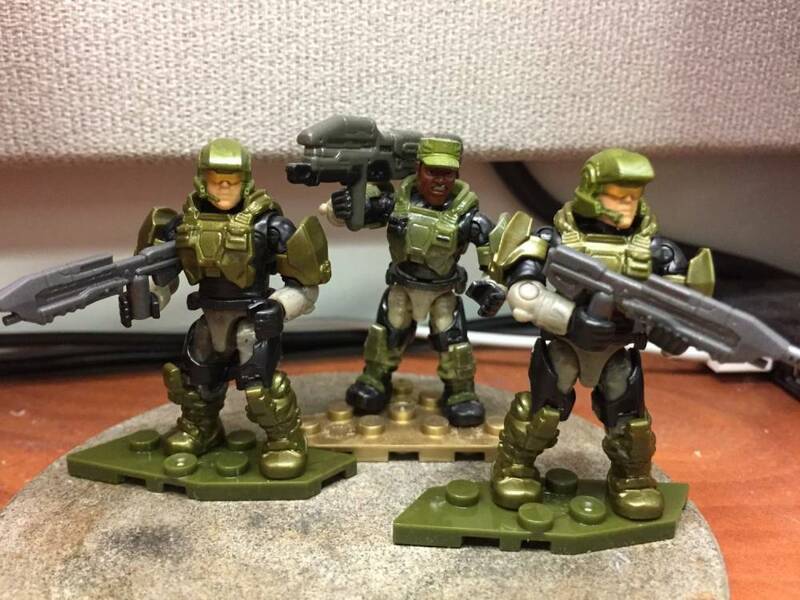 But I also have the heroes series 5 Johnson and he and these marines are not going to match, so either some pop an swap armor needs to happen or he's going to look alot more olive matt then his solders. 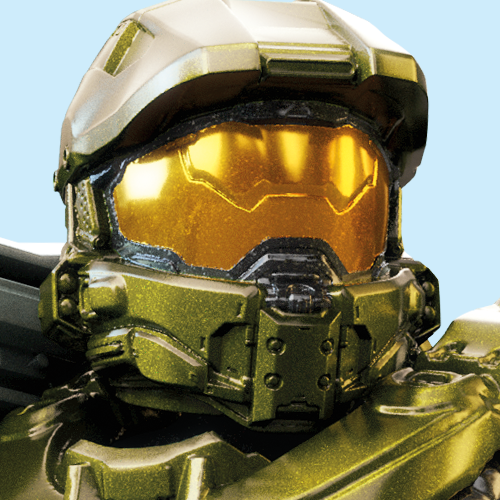 I'm really loving the metallic, olive green from the new Halo 3 Marine. 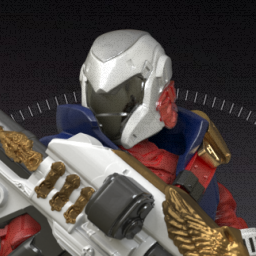 It matches most of the armor from the Siege armory Spartans (which had mismatching helmets and forearms). 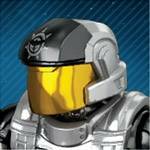 The Marine is more metallic than Sgt Johnson but isn't terribly noticeable. I'm hoping this new metallic olive green is used for more UNSC figures in the future. I'd like to see a Spartan fireteam utilizing it. I really like how the metallic coloring makes figures pop more than matte colors. 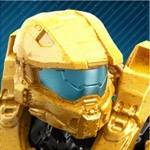 My previous favorite green was used for the Master Chief Collection promo Master Chief figure. It's more forest green than olive. I now prefer the new olive green.